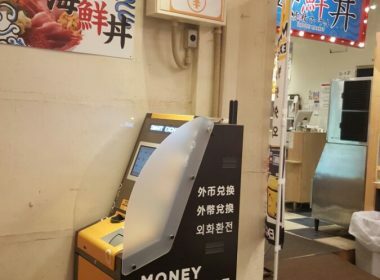 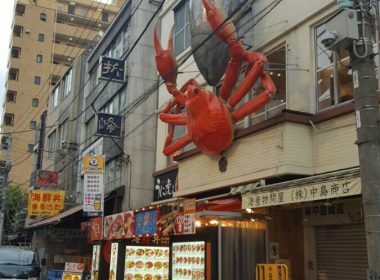 Just near the centre of the Tsukiji fish market area is a seafood shop where you can feel the atmosphere of the bustling Tsukiji market. 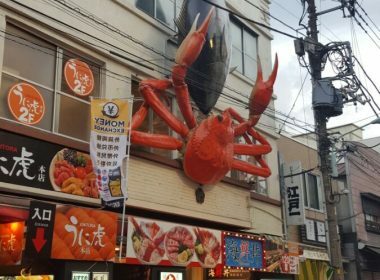 You can taste delicious oysters and skewers that are convenient for eating as you go as well as full meals in custom bowls. 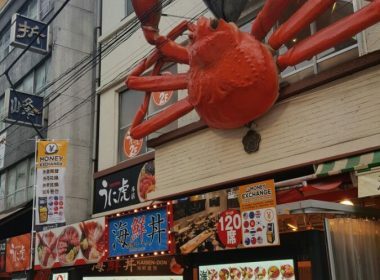 Display of a big crab and tuna which serve as a landmark.